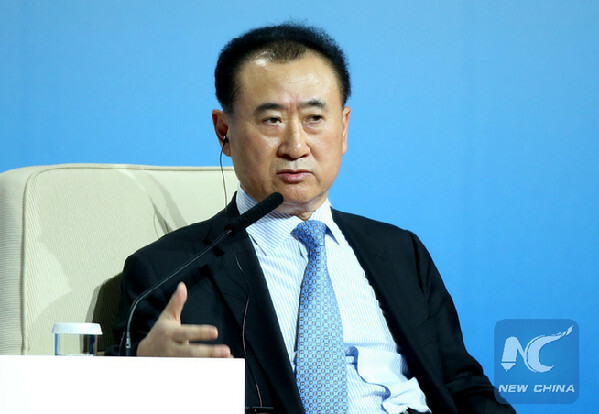 Billionaire Wang Jianlin's Dalian Wanda Group Co is in takeover talks with several candidates to be the conglomerate's vehicle to list its property unit, according to people familiar with the matter. Wanda is still holding talks with other potential targets for a backdoor listing of Dalian Wanda Commercial Properties Co after Shenzhen-listed Beijing Soft Rock Investment Group Corp dropped out, said the people, who asked not to be identified because the information is private. The people declined to name the backdoor-listing candidates and Wanda declined to comment on any targets. Wang delisted Wanda Commercial from the Hong Kong Stock Exchange two months ago as he searches for higher valuations in the mainland market. Still, he's under pressure to list the property company within two years or face having to repay his investment partners more than $5 billion. The billionaire is also facing challenges for the relocation as there's a years-long backlog of companies seeking regulatory approval for IPOs in the mainland markets and the stock regulator has recently been scrutinizing backdoor listings. In another development, Wanda has signed an agreement with Shaanxi provincial government to pour 103 billion yuan ($15 billion) in investments to build theme parks and commercial centers there, including a Wanda City complex in the capital Xi'an, the company said. Wanda plans to have 15 Wanda City projects across China by 2020, betting on strength in numbers to become the biggest Chinese theme parks operator amid rising competition from overseas. Yet the centerpiece will be the company's signature Wanda City complex, which will involve about 50 billion yuan investment in the city that's home to nation's treasured Terracotta Warriors. In addition to those in Xi'an and Changsha, Wang opened two Wanda City projects this year in Hefei and Nanchang.